A regular city shuttle service connects Charleroi airport to Brussels Midi railway station. Take exit 4 at the terminal, walk to the right and proceed to bus stop 6. Tickets may be purchased in advance at www.brussels-city-shuttle.com or at the bus stop (from 5€ per trip). At Brussels Midi, participants may then take the metro or taxi to their hotel or use the free City Shuttle service from Brussels Midi to BRUSSELS EXPO. From Bruxelles-Midi, take the direct metro line number 6 towards Roi Baudouin and get off at Heysel Metro station. This journey will take about 15 minutes. Use the metro for free during expo days with the Event Pass. 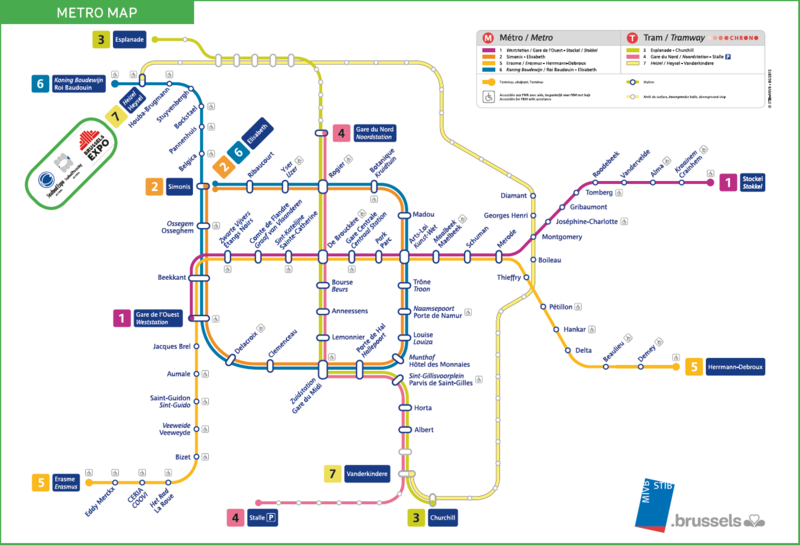 Click here to access the Metro map.